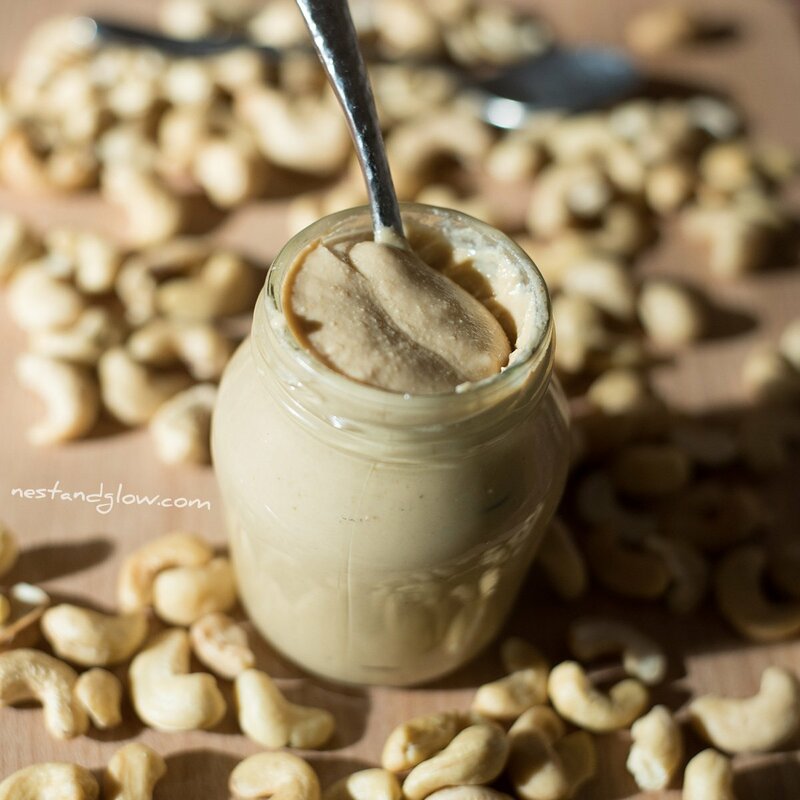 It’s quick and easy to make your own 100% cashew nut butter. The only ingredient is raw cashew nuts. Many nut butters contain added oils like palm that aren’t healthy for you or good for the environment. 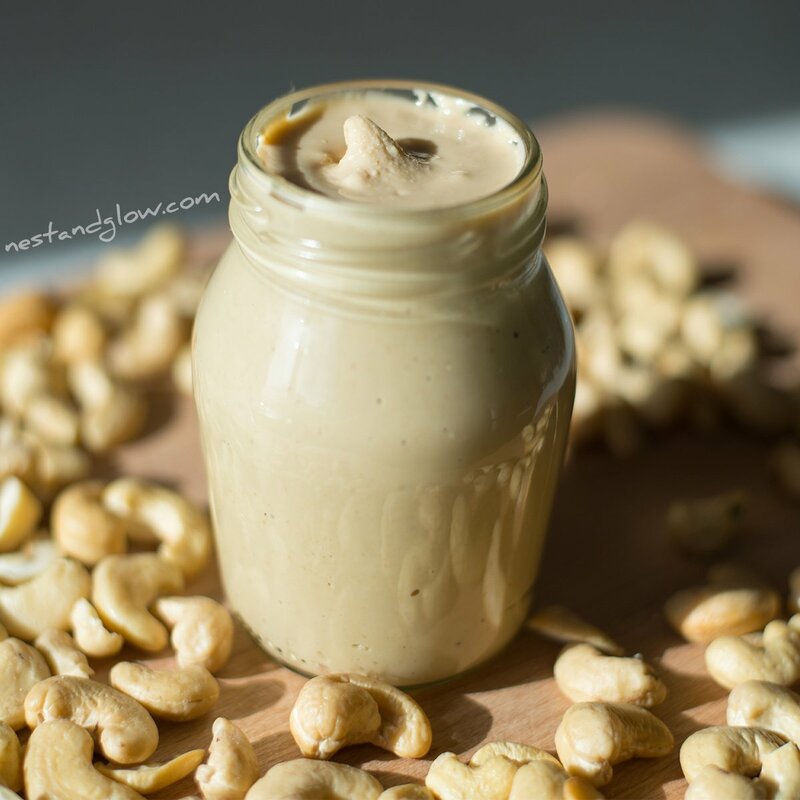 Making your own cashew nut butter does taste different as it’s freshly made so will have a creamier and richer cashew taste. 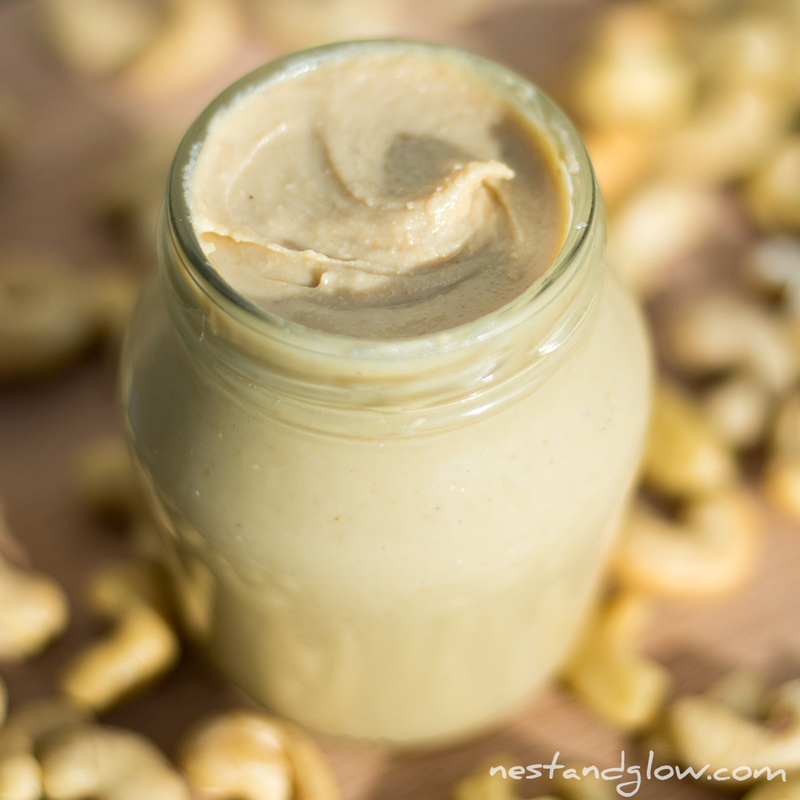 You don’t need to refrigerate homemade cashew butter if it will be used within a week or so. But it’s recommended to store in the fridge with an airtight lid as it will stay fresher and last for months. Place the cashew nuts in a high-speed blender. You may need to scrape the sides down several times (I don’t with my blender though). Stop blending once the butter looks like a liquid. Pour into a sterilized jar – either straight out of the dishwasher or filled with hot water and dried. It will last for a few weeks in an airtight jar not refrigerated and a few months in the fridge. Equipment: High-speed blender, this is my blender. 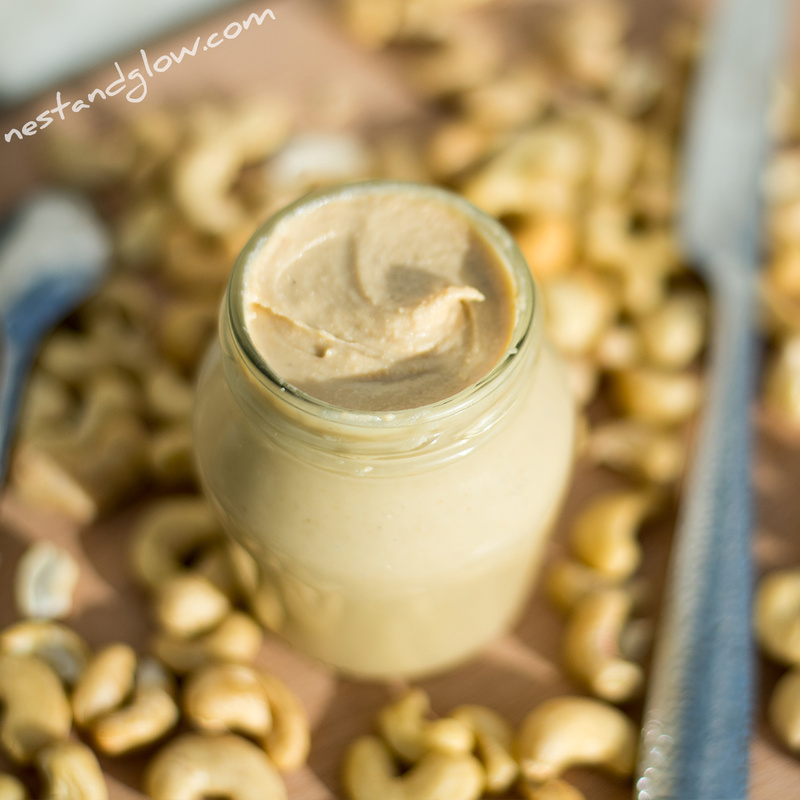 View the no Music Cashew Nut Butter Video Recipe. 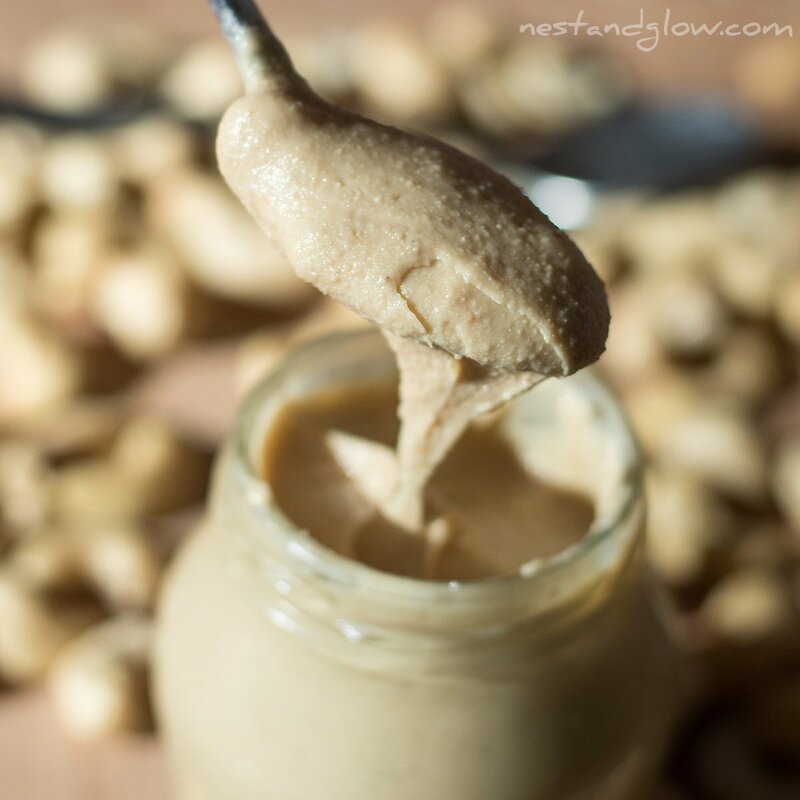 I call this recipe raw nut butter as I use raw cashew nuts have not been heated and roasted at a high temperature. However, almost all cashew nuts are baked or steamed at a moderate temperature to during processing due to the chemicals in the shell. Cashews are not truly raw but generally accepted on a raw food diet. See my post on How Ethical Cashew Nuts are Processed for a video from a cashew nut factory in Bali. 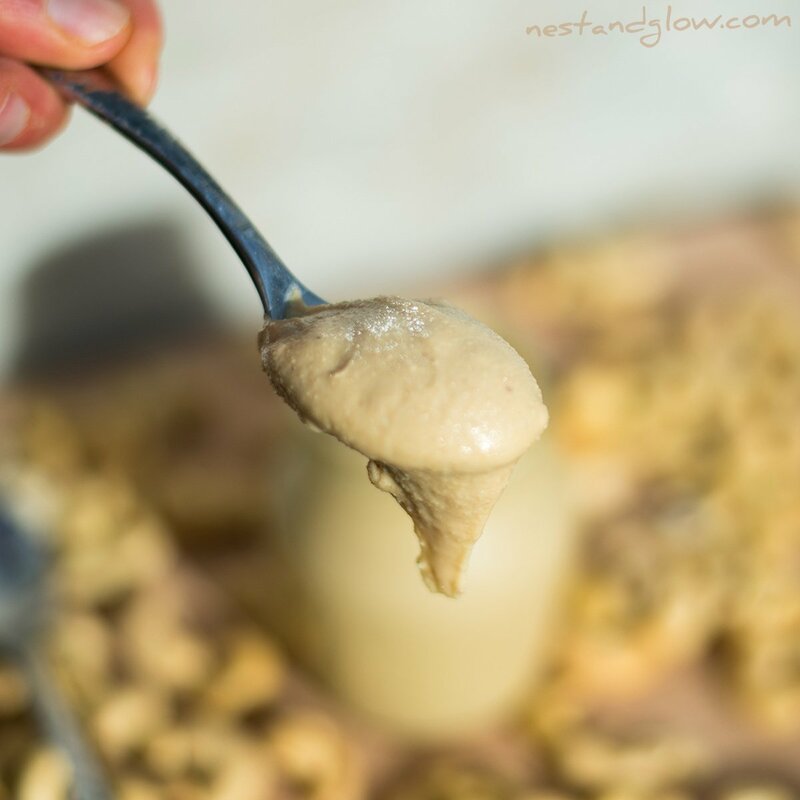 You can use this same method for just about any nuts to make nut butter. However cashew nuts work quite well as they are softer and can be made into a raw creamy silky smooth butter without roasting. Once nuts are roasted they do lose some nutrients. I don’t soak or sprout my cashew nuts as I don’t think they need it. Cashew nuts and macadamia nuts are the only two nuts that I don’t soak, sprout and dry. This is sometimes called activating and makes some nuts like almonds and walnuts easier for the body to digest. 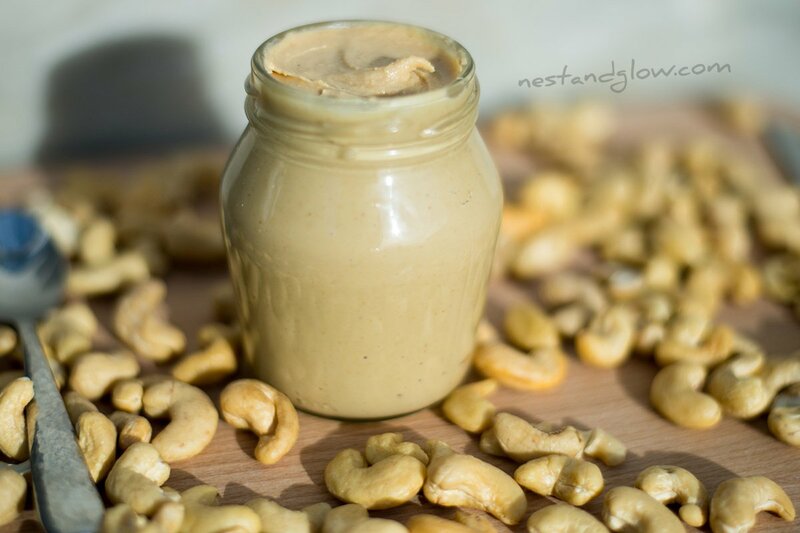 You will be surprised when you make cashew nut butter at just how many cashew nuts make a medium sized jar. However, it is worth it for fresh DIY nut butter that is full of flavour. You can make cashew butter salted caramel by stirring in a pinch of salt and a sweetener like maple syrup or coconut nectar. It will be spreadable and perfect on something like a rice cake for a filling high-protein snack that is full of heart-healthy fats. Making nut butter is a messy business. 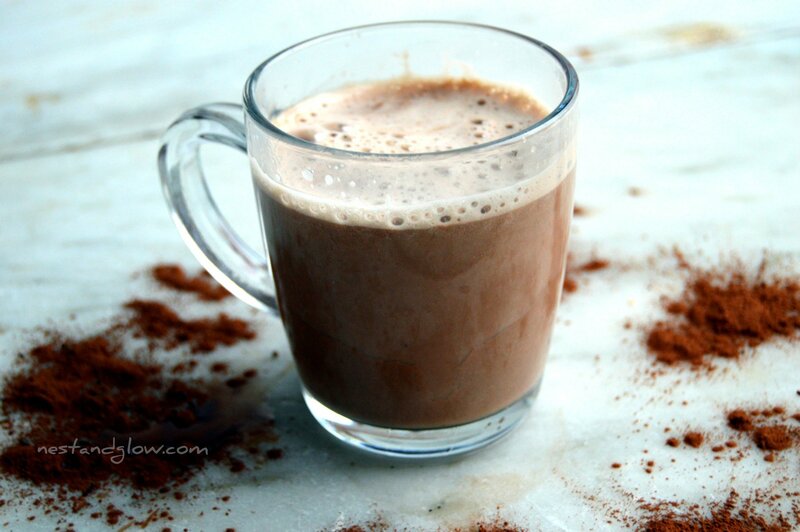 I generally clean up the blender by adding a cup of water, a spoonful of cacao powder and a few dates then blend for a few minutes until its warm to make a raw hot chocolate. This makes the blender is less sticky and messy to clean up and you don’t waste any cashew nuts. Sounds great, but my Vitamix would cook the cashews if it blended for 10 minutes and it no longer would be raw.